PC games in jewel cases aren't just for discount titles at Walmart and Target anymore. Electronic Arts has announced a distribution agreement with 1C Company which will see the latter releasing the former's newer PC titles throughout Russia in jewel case economy packaging. The first titles coming out this fall in the tiny plastic packages will include Command & Conquer: Red Alert 3, Crysis Warhead, and NHL 09. "We release jewel games for the first time especially for Russian market. Owing to 1C's optimized distribution system our cooperation will become the next step in expanding EA games on regional markets of Russia and CIS", – says Murad Shapiev, Sales Director for Electronic Arts Russia. Of course jewel cases means that the folks in Russia, along with Ukraine and Kazakhstan (careful, they're sensitive) will probably be missing out pack-ins like bulky manuals, maps, posters, and other goodies, but considering the giant piles of such items cluttering my apartment that might not be such a bad thing.Electronic Arts and 1C Company signed a distribution agreement Electronic Arts and 1C Company signed a distribution agreement to spread EA games over Russia and CIS countries MOSCOW, Russia – September 18, 2008 – Electronic Arts and 1C Company announce an agreement to create new channel for distribution of EA games. According to the contract signed 1C receives the rights to distribute EA titles for PC and consoles in Russia and CIS countries. The collaboration of these two companies is firstly aimed to consolidate and advance the largest markets (after Russia) – Ukraine and Kazakhstan. 1C Company already has offices in the region and has leading market share in these countries. Another important stage in the cooperation of Electronic Arts and 1C Company is the distribution of EA games for PC in economy jewel packs in Russia. For the first time ever part of new games released by world's leading publisher will be distributed in economy packs (CD jewel case). Electronic Arts plans to release three new jewel packed games for PC - Crysis Warhead, C&C Red Alert 3, NHL 09. These games will be released in autumn 2008. "Choice of 1C as our strategic partner is not a random decision. Nowadays 1C is a key player on the distribution market of PC games in jewels. Due to its professionalism this company gained high business reputation and we are interested in long-term and mutually profitable relations", – comments Peter Laughton, EA Vice President and General Manager of Central and Eastern Europe. "We release jewel games for the first time especially for Russian market. Owing to 1C's optimized distribution system our cooperation will become the next step in expanding EA games on regional markets of Russia and CIS", – says Murad Shapiev, Sales Director for Electronic Arts Russia. "The agreement signed is an unprecedented event for Russian market. World's leading publisher will unite its strength with the largest Russian software company. We greet Electronic Arts' initiative to distribute games in economy packs", - notes Nikolay Baryshnikov, International Sales Director for 1C Company. "1С became one of the first companies to introduce that scheme in Russian industry. I am sure that the experience gained along with our distribution network which is the biggest in Russia and CIS countries will contribute to effective collaboration and further growth of Russian game market." 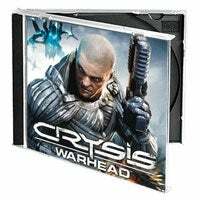 In Crysis Warhead the player has to fit in the Nanosuit of Sergeant "Psycho" Sykes, one of the most memorable characters of Crysis. Occurrences in the story of Psycho, who has always been more aggressive and impudent than his comrade Nomad, take place at the same time with the original game in another part of the island. They turn out to be even more dynamic and intense. Fortunately, Psycho's Nanosuit can perform a lot as it is equipped with modifiable weapons and many new techniques, helping the players to find out the right way from any complicated situation. Besides of that remarkable campaign the player can also participate in multiplayer mode. C&C Red Alert 3 presents a thrilling journey to the future of the alternative universe that appeared as the result of unsuccessful travel in time. Developed by EA Los Angeles Red Alert 3 sets new standards in real-time strategy genre, introducing campaign for co-operate mode. The campaign keeps renowned non-complicated style and classic rich gameplay. NHL 09 introduces the opportunity to step on ice rink on your own! New "Be a Pro" mode allows to customize the character looking anyhow you wish. And in "Hall of Fame" you can not even simply create a character to play, but also to join him in the way to glory through AHL and NHL. Improved "Skill Stick" and control system, taken from NHL94 allows the player to command with his characters clearly and easily.